Every cloud has a silver lining. The 2008 financial crisis started a dark period for the global economy but a victory for the insurance industry with the arrival of best-in-class David Schawe (pictured), who left his position as a financial planner. Schawe is now a highly regarded producer at Gallagher. 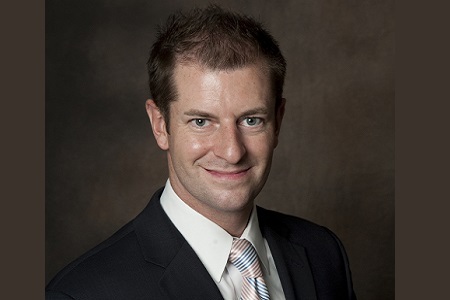 He joined Gallagher in 2012 and currently serves as area executive vice president for Gallagher’s retail property & casualty brokerage operations in Cincinnati. In this role, Schawe focuses on customizing risk-reduction plans for clients and helping them put dollars back toward the bottom line. He sees the global brokerage as “part advisor, part coach” to help clients solve problems while also spotting opportunities to leverage their risks and achieve success. In 2017, Schawe was named the Top Producer of the Year at the Insurance Business America Awards. He has also been listed on the Insurance Business Top Producers list for two consecutive years and the Insurance Business 2018 Hot 100 list. Schawe’s talents have not gone unnoticed at Gallagher. He is a member of Gallagher’s President’s Club and was named on the Power of Gallagher Top 20 Producers 2017 list. That’s a lot of achievements for something who originally thought: “Insurance is not for me!” We caught up with Schawe to find out how he’s done it. I started my career as a financial planner when I was a college intern. My neighbor was a partner at a large regional insurance firm and kept trying to hire me out of college. I told him there’s no way I’m selling insurance. Then the stock market crashed in 2008/2009, so I called my neighbor and said: “We need to talk.” I’ve been in the industry ever since. I love meeting new prospects and helping them implement creative risk management strategies. It’s very rewarding when clients place their trust in us to protect their business. I also enjoy helping the interns and new producers by showing them the ropes and helping them reach their goals. Starting in insurance at such a young age, I always got the “well you’re too young” and the “why should I trust you with our insurance business?” comments. Insurance is a relationship business, so there’s always the ongoing battle of breaking the 20, 30, 50-year relationships. What have you learned from working at Gallagher? Having a wide network, access to a wealth of practice group experts, and being able to team up with them and lean on their expertise to close deals has been key. Gallagher gives you the tools to succeed – we’ve just got to go out and do it. What advice would you give to someone working their way up the insurance ladder? Don’t ever let anyone tell you that you can’t do this. How did I get to where I am? I just worked harder than everyone else. Put in the work, do the numbers, be persistent and the success will come. If you weren’t working in insurance, what would you be doing? Great question. I would probably still be working as a financial planner or trying to start my own business. In what though? It’s hard to tell. I love spending my summers at the lake house and doing outdoor activities like boating and skiing.